HDTV Supplys 3x3 Video Wall & 9X9 Seamless HDMI matrix is a high definition 9x9 HDMI matrix switcher with mixed inputs to support digital video signals and has 9-HDMI outputs with a seamless switching mode. This 3x3 Video Wall & 9X9 Seamless HDMI Matrix allows any of many types of inputs to be routed to any of 9-HDMI outputs; or the same input to be routed to all outputs, or any combination. SwiftSwitch SEAMLESS SWITCHING: Our WolfPack™ 3x3 Video Wall & 9X9 Seamless HDMI Matrix provides instantaneous video switching which delivers full 1080p video powered by our WolfPack engine implemented at each output port. This high-performance engine processes HDMI signals by executing EDID hops and HDCP handshakes simultaneously at both the source input and the display outputs and scaling inputs for the best output resolution while setting the output clock timing and using a frame buffer to retain the input signal information for the fastest output. NOTE: This 3x3 Video Wall & 9X9 Seamless HDMI Matrix does not support a full screen mode on 9-TVs or one video spread throughout 9-TVs, only 9-individual videos as the above picture shows. 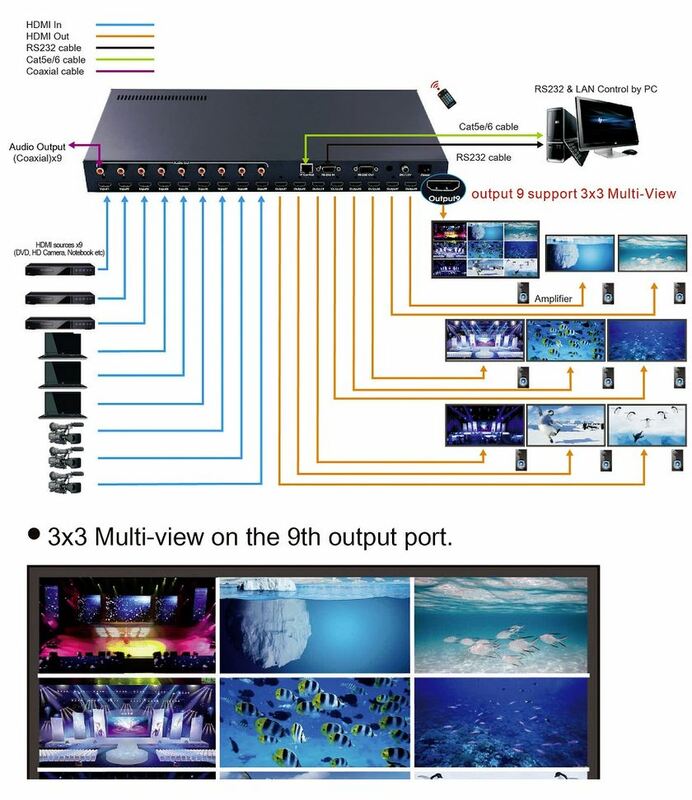 Why not buy this 3x3 Video Wall & 9X9 Seamless HDMI Matrix today? 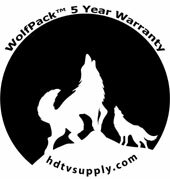 HDTV Supply includes a 5 Year U.S. Limited Extended Warranty on this product. There are two bundled parts to this 5 year warranty. The 5 year warranty is only for the main device you purchased and does not include any product options or additional products you purchased at the same time.